Oui, Oui! Our High Intensity Water Workout is a water workout with French Flair!!! This class is a cardiovascular full body workout. 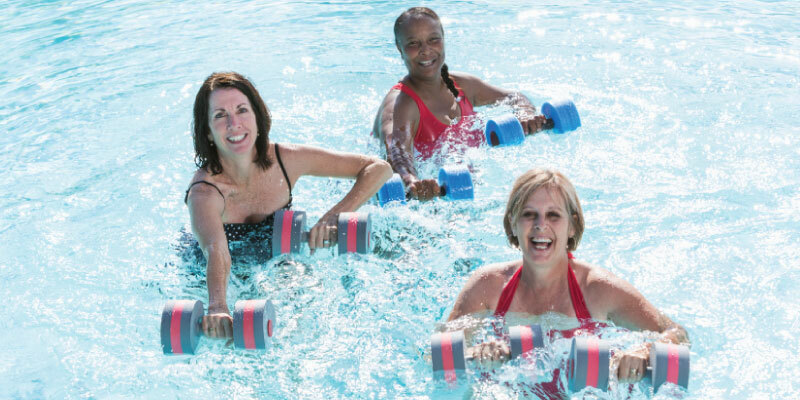 Fast paced and high energy, our alternating cardio blasts mixing basic cardio drills and dance movements make our High Intensity Water Workout a fun and effective way to stay in shape and burn those unwanted calories.